Two years ago I launched The Writing Club, a creative writing program for kids. My students ranged as young as second grade up to fifth grade, boys and girls, and from public and private schools in San Francisco. I came away from it feeling great about helping those kids who were tentative about writing, those who needed a confidence booster, and conversely those who loved to write and wanted to spend more time storytelling than the traditional school day offered. My decision to launch my own private writing “club” came after I spent two years teaching with the San Francisco based after-school program, “Take My Word for It!” The program would join an elementary school’s after-school program and offer a 10-week creative writing class, mixed ages, for one hour per week. The class would expose students to poetry, prose, and literary craft elements like personification, onomatopoeia, figures (metaphor, analogies, etc) and more. After teaching the “TMWFI” program’s curriculum, and understanding how to teach the lessons, I decided I could create my own curriculum and offer it “off campus.” In the summer of 2013 I conceived of the 10-week lesson plan, marketed the classes, and filled two sessions of 12-15 students each. 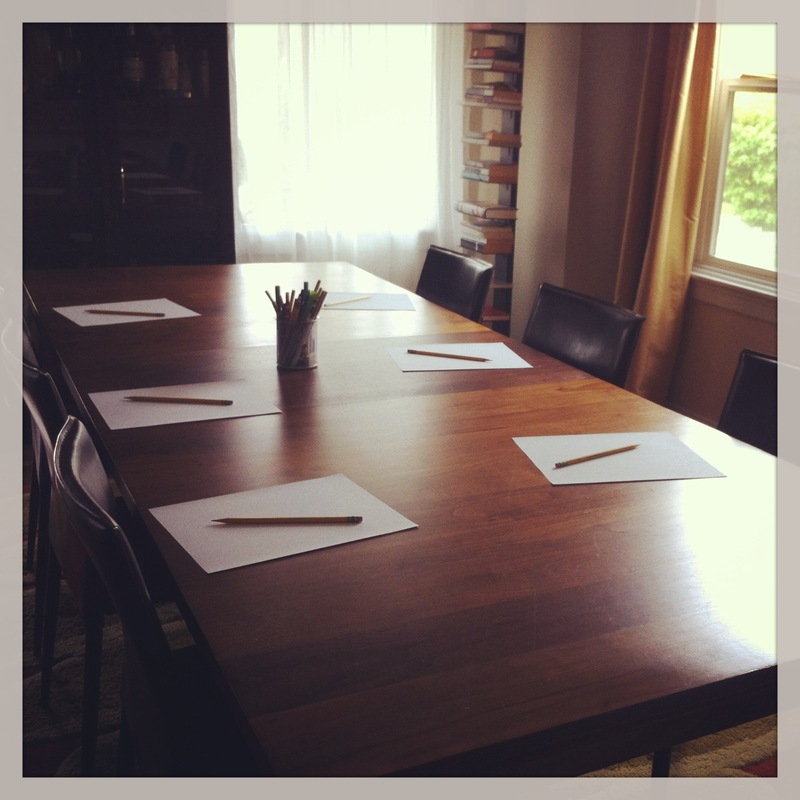 Every Tuesday I transformed my dining room into a classroom, and on Fridays I worked out of my friend’s art studio. After the fall of 2013, I offered winter classes, and then spring of 2014. We created club names for ourselves and a secret club handshake. I often created a theme for the course. For example, one session’s theme used San Francisco as our muse. We studied images of the fog and tried our hand at mystery writing, we wrote Beat poetry and performed it with a mic and beret, and we wrote odes to famous San Francisco landmarks. I created a “Dead Word Wall” where the kids would have to offer a synonym for an overused word (a dead word, like “said”). We also created “invords” or invented words by piecing together words and making up the definition. I posted their writing on Facebook. Two years later, I had in total taught over 50 children. It was thrilling to watch the changes. Some students would delve in and write pages and pages, and you could see that the weekly inspiration further enabled their innate passion. Other students, those who struggled, would open up and grow more confident, and I often had gracious feedback from parents. They could see the changes in their child’s attitude toward writing. At school at the parent-teacher conferences, the student’s teacher would note the change in the student’s writing. Parents often thanked me, and to have that kind of influence over a child’s growth and learning was surprising and wholly satisfying. Writing is an important skill that crosses over and supports other subjects and brain function. Throughout the child’s academic journey, the ability to communicate through writing is invaluable. But I also focused on the child’s ability to let go of judgment and criticism and to be ok with whatever words spill out on the page. To not be embarrassed and to try his/her best to shake off that feeling of vulnerability. To be confident in their own voice and ideas, and use writing as an outlet for emotions, dreams and fears. To start by putting pen to paper…and let go.